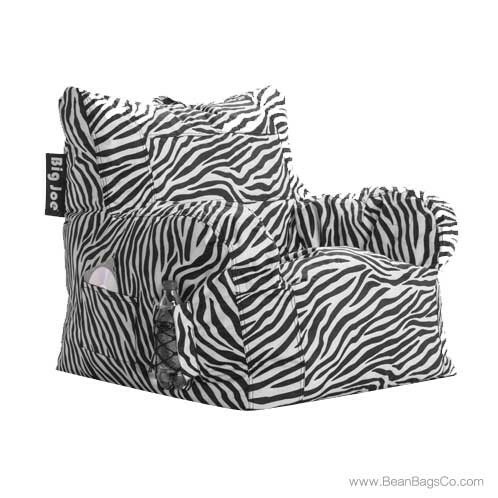 Your friends will roar over your Big Joe Dorm Chair in wild zebra print! 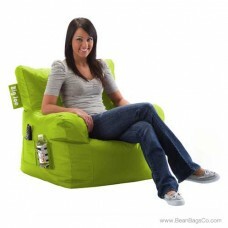 This handy dorm chair fits easily in any room at only 33 x 32 x 25 and adds a touch of fun to your dorm décor. 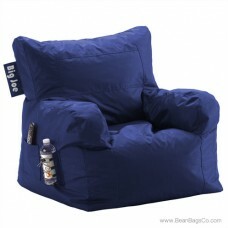 Made of SmartMax fabric, the Big Joe Dorm Chair will not tear, fade, or stretch and resists staining. This waterproof material is perfect for easy clean-up—just wipe it with a damp cloth and it looks as good as new. The Big Joe Dorm Chair is filled with UltimaX Bean filler, the latest in bean bag technology. UltimaX is 20 percent smaller and denser than other bean bag fillers. 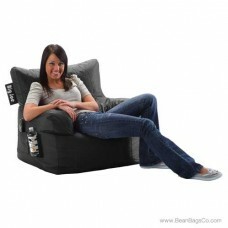 This gives you a soft, comfortable feel when you sit as the beans conform to your body shape. 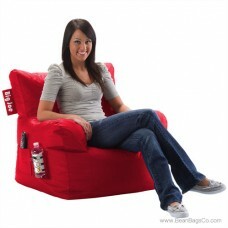 When you stand up, the comfortable dorm chair springs back into shape. 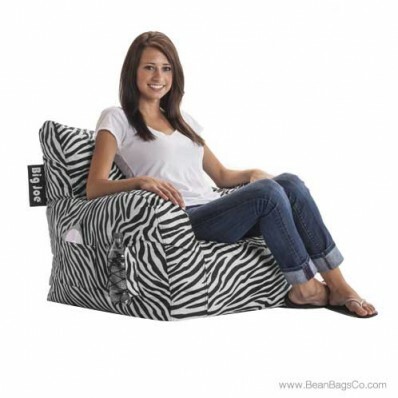 With high-quality fabric and interior filler, this bean bag chair is designed to stand up to the worst punishment you and your roommates can dish out and still look great.